Leading 100% Export Oriented Unit of clocip powder, candid powder, levoflox tablets and azithromycin tablets from Mumbai. 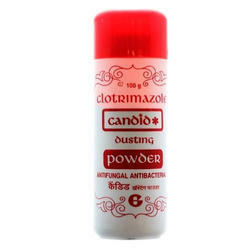 Clocip Powder contains Clotrimazole. 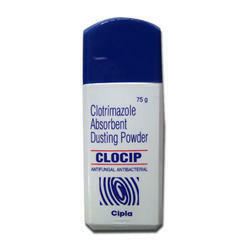 Clocip powder is an antifungal, prescribed for local fungal infections. Clocip powder prevents fungal growth on the skin. 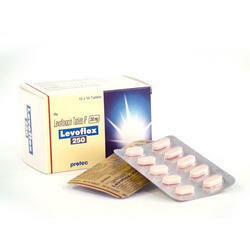 Levoflox acin Tablets are available as film-coated tablets and contain the following inactive ingredients: 250 mg (as expressed in the anhydrous form): Crospovidone, hypromellose, magnesium stearate, microcrystalline cellulose, polyethylene glycol, polysorbate 80, synthetic red iron oxide and titanium dioxide. With thorough industry knowledge, we are engaged in manufacturing and supplying a wide range of Azithromycin Tablets. Azithromycin tablets are a macrolide antib. 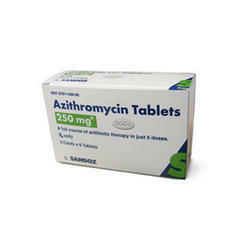 Azithromycin addition to this, Azithromycin is used for treating mild to moderate infections caused by certain bacteria.